Today is day two of the 18 hour trip home! 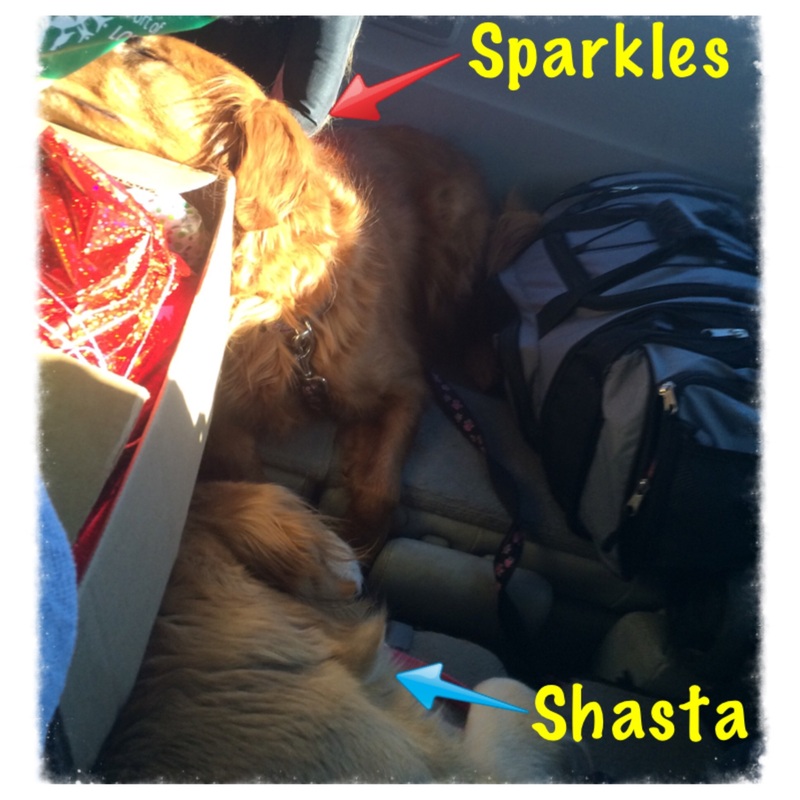 The drive seems to be lasting an eternity, but I know I’ll be home soon. 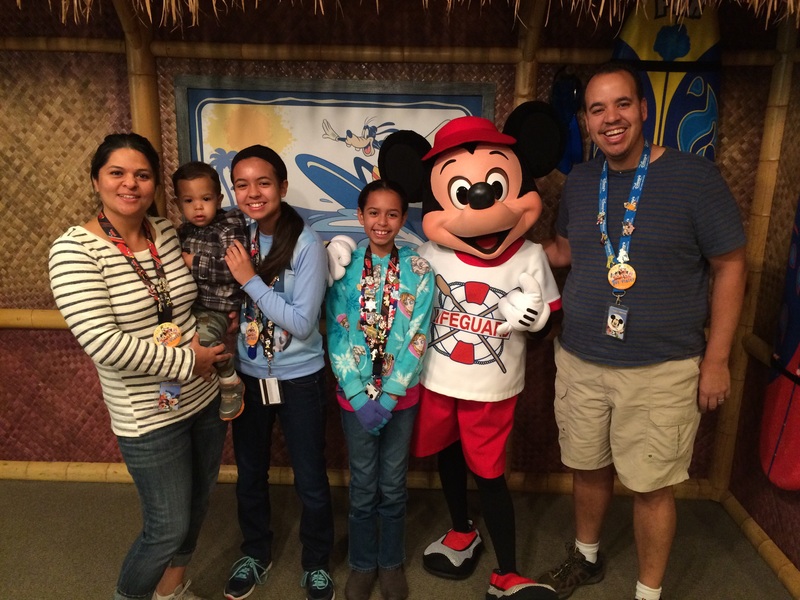 The day before yesterday, while I was at Disneyland, I had a wonderful time with my family and little baby cousin Danny. 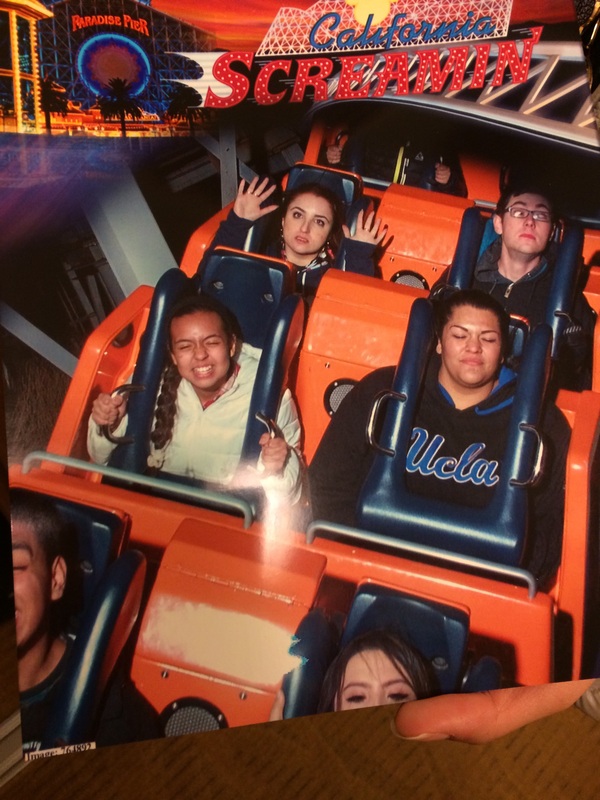 As we parted ways at the end of the night, I pondered on how much fun I’d had – especially when my cousin Tina and I went on California Screamin’. All the wonderful things were just what they were; wonderful – but yet, I seemed to condemn myself and think I could’ve been doing something more life changing or world shaking than riding a roller coaster with my cousin. “Is it wrong to have fun?” I asked myself. It reminds me of a post by my favorite blogger Joy Clarkson (click here for her post)! She thought to herself how fun it is todo something such as playing the saxophone or swing dancing. But then someone reminded her how much more important it is to do something like end hunger or whatnot. A few days before vacation, I read in my Bible that the Lord wants us to have spiritual freedom and enjoy our family and friends. Let Israel rejoice Him who made him. Let the children of Zion rejoice in their King. Let them praise His Name in the dance: Let them sing praises unto Him with the timbrel and harp. For Jehovah taketh pleasure in His people: He will beautify the meek with salvation. As the psalmist tells us, God takes delight in us when we rejoice, or dance, sing, or play! Like I have said before, Our Lord only has plans to prosper us, not hurt us. So as I sit in this cramped back seat watching Pirate Fiary with my little brother and sister, I tell you from the bottom of my heart that I enjoy having fun! After all, doesn’t The Father give us fun to bring us together? To refuse a fun day or blessing is to openly reject something God wants to bless us with. That’s exactly what He did by sending Christ to the cross, yet so many reject the free blessing. If you’re like me, you like free gifts. P.S. Here’s some pictures about what I’ve done this week with my favorite people in the world. Me and my beautiful cousin Tina on California Screamin’! The people behind us look quite frightening…don’t you think? 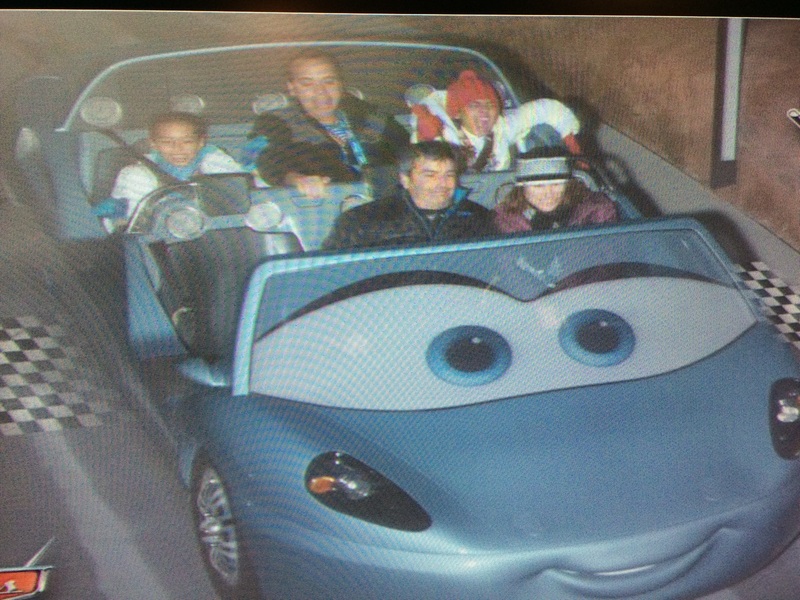 (Left to right in back row) Ally, Dad, and Me in the Cars Ride. 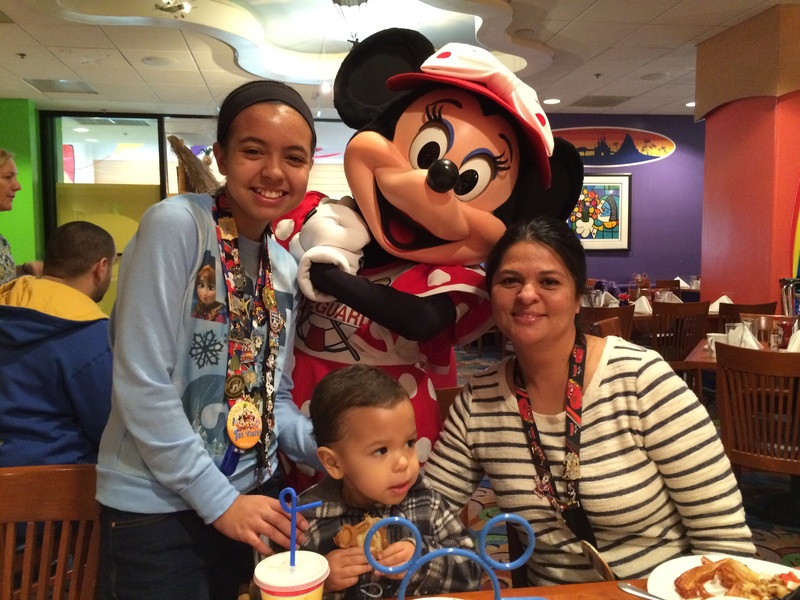 Me, Mom, John and Minnie Mouse.